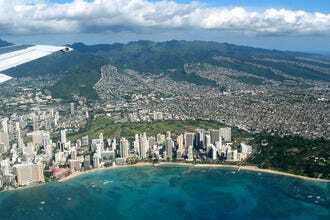 Waikiki is known for its collection of luxury hotels and resorts dotted along Waikiki's beaches, but there are great hotels off the strip. 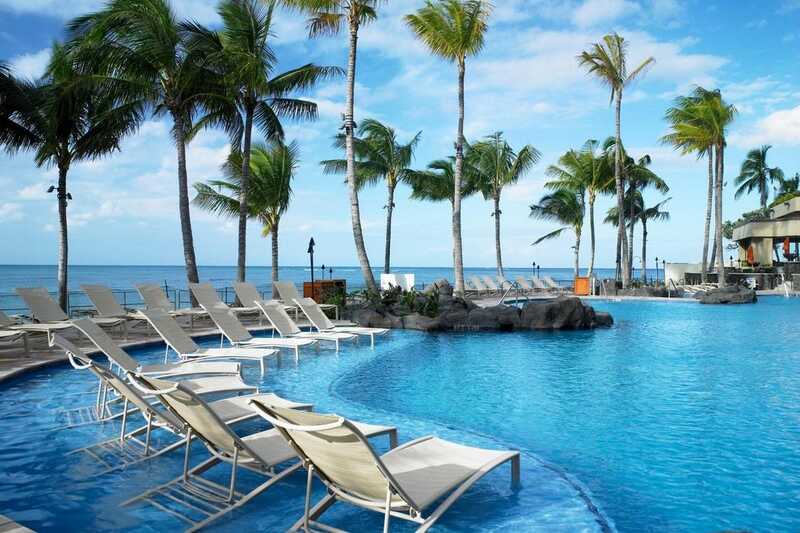 Each of these places offers a variety of amenities, and caters to making sure your Hawaii getaway is everything you want it to be, whether you're here for your honeymoon, a family vacation or a solo excursion. Let this 10Best list guide your online hotel search. If you're looking for a hotel that has everything you need for your Oahu vacation all in one convenient location, look no further than the Hilton Hawaiian Village. There's several pools–some with water slides–multiple restaurants and spas. 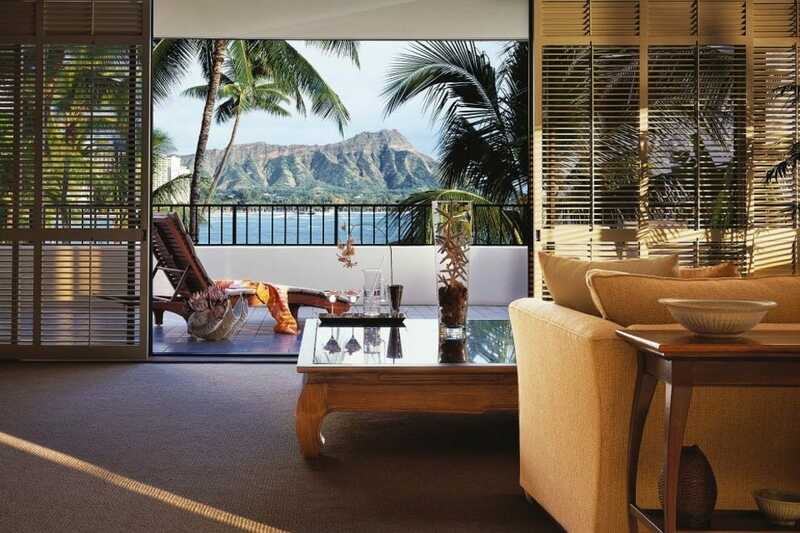 For a sleek, modern feel, the aptly-named Modern Honolulu is a chic Honolulu hotel. Here you'll feel like you're in a trendy oasis. But if you want a true Hawaii hotel experience, check into the Royal Hawaiian. This beautiful hotel evokes classic Hawaii, from its Island-style decor to live local music at night. Our 10Best list for the best Honolulu hotels brings you info from location to contact info to detailed amenities. 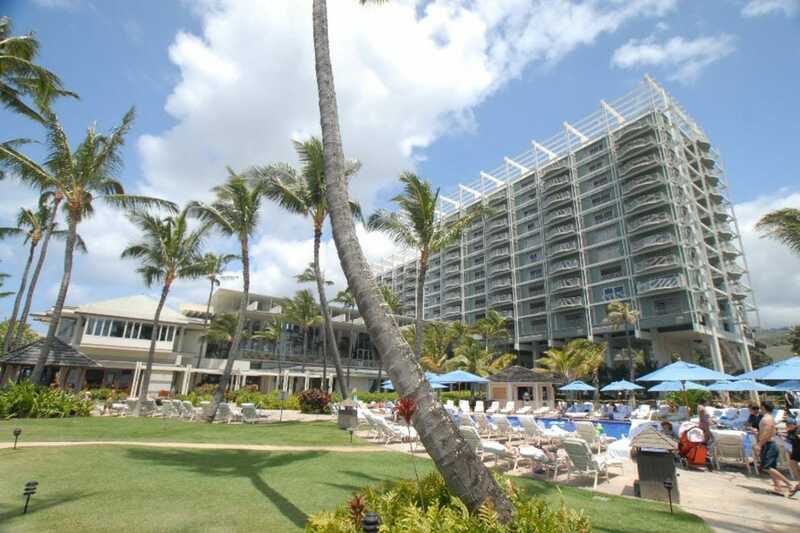 The Outrigger Reef is a great, right-on-the-beach hotel in Waikiki. Don't miss its "Hoaloaha," upon walking in, a restored century-old koa canoe suspended from the hotel's towering A-frame; the entrance also features a Polynesian canoe hale, or house. In fact, navigators from the Polynesian Voyaging Society named the resort's five suites after significant celestial beings. A large pool and hot tub occupy the resort's central area, surrounded by high towers. 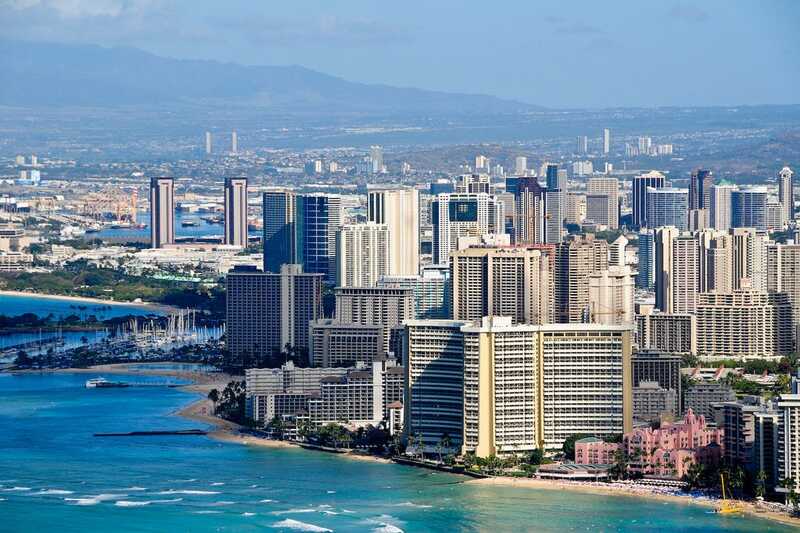 Plus, the Waikiki Aquarium and the Honolulu Zoo are only a short walk from the hotel. 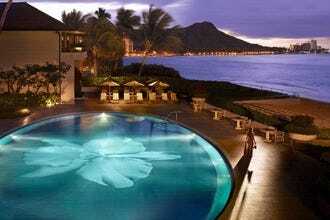 The trendy Sheraton Waikiki, located in the heart of Waikiki, is known for its ocean-side, Infinity Edge pool. It's a great spot for adults to relax. And for the keiki, there's the 70-foot long water slide in its Helumoa Pool. Each suite in the Sheraton Waikiki comes outfitted with a full-sized bathroom, plus high-speed Internet and satellite TV. Don't miss Rumfire, known for its quality cocktails and appetizers, and after-hours, a hopping club scene. 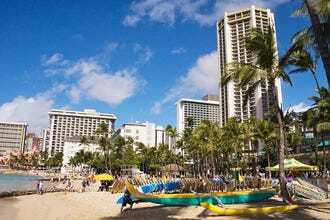 The Hilton Hawaiian Village is a true Waikiki resort. And at a sprawling 22 acres, the name village, doesn't quite do it justice. The resort has seven towers (some are exclusively timeshare). The Rainbow Tower is the closest to the beach and the aptly named Alii Tower has the best rooms and most exclusive services. The hotel grounds are lush with tropical flora and ponds. The resort boasts five pools, including the Paradise Pool, which features the longest water slide in Waikiki, as well as the Duke Kahanamoku Lagoon, a 5-acre lagoon, perfect for standup paddling, kayaking and swimming. And with 20 restaurants and bars, there's no shortages of places to eat once you've worked up an appetite. Each Friday, enjoy a fireworks show at 7:45 p.m. It's been a Hilton tradition for more than 25 years. 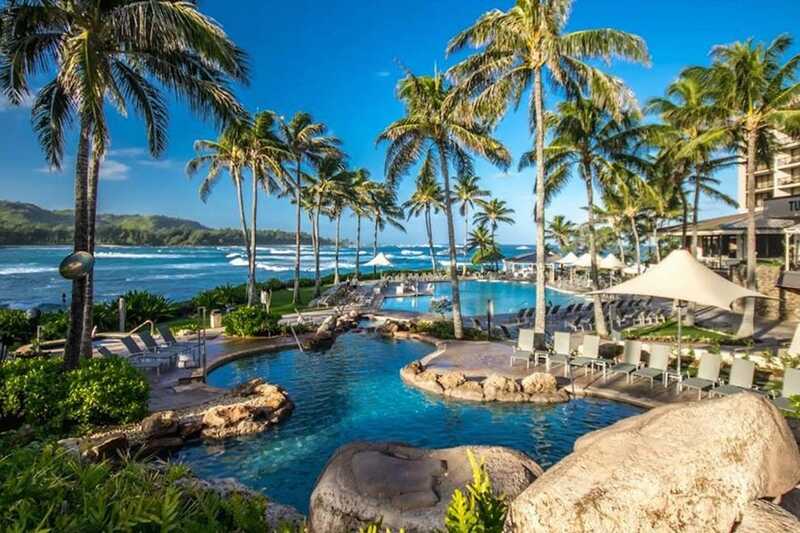 Located on Oahu's serene North Shore is Turtle Bay Resort. You can enjoy postcard worthy sunsets from your roomy suite; each of the hotel's 410 rooms and suites, 42 beach cottages and villas boast an ocean view. Perched on a peninsula, there's plenty to do immediately surrounding the resort, and something for everyone. Turtle Bay has championship golf courses, designed by Fazio and Palmer, horseback riding, hiking and mountain bike trails and a surf school. If you just want to unwind, relax at Turtle Bay's Nalu Kinetic Spa, or at one of its two swimming pools. Affectionally known as the First lady of Waikiki, the legendary Moana Surfrider opened in 1901 and ushered in Oahu's era of hospitality to the world. More than 100 years later, the hotel, with its grand white columns in the porte cochere has aged spectacularly (and undergone renovations). Relax under the hotel's iconic banyan tree at the outdoor Beach Bar. 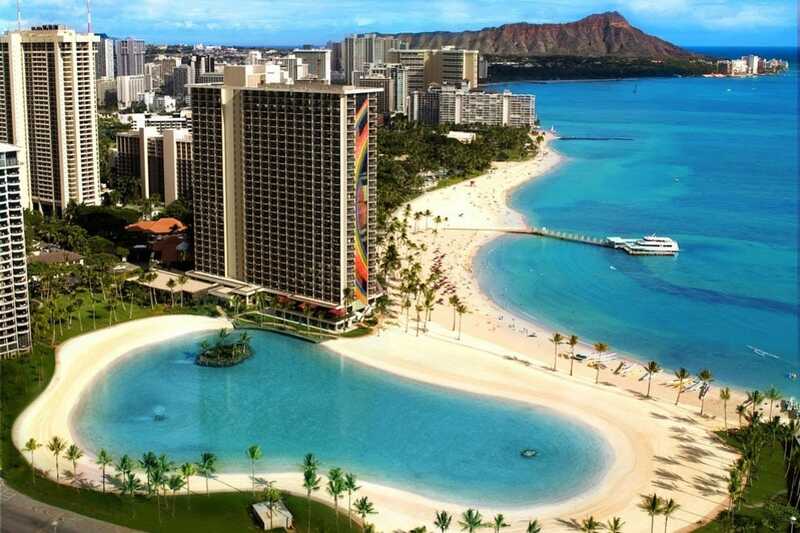 Here you'll have an excellent view of Waikiki Beach, plus there's live music in the evenings. The spacious rooms have lanai that overlook both the rolling ocean and the hotel's beachside pool. 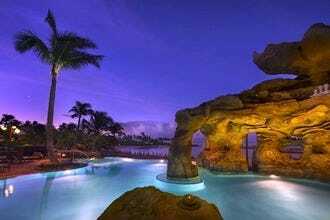 Booking a stay at Aulani, a Disney Resort & Spa is treat for everyone in the family. 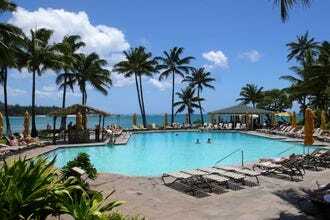 This hotel is on Oahu's west side of the island and is roughly a 45-minute drive from Waikiki (without traffic). But with so much to do, you won't need to spend time driving east. Don't miss Makaikai, the Art and Culture of Aulani. The resort houses one of the largest collections of contemporary Hawaiian art in the country, including sculptures and wood carvings, oils, acrylics, watercolors and batik on silk. There are guided tours available for families, or just the adults. Aunty's Beach House is an interactive keiki club where kids ages 3 to 12 can learn hula, play dress-up, watch Disney movies and more. Guests of all ages will enjoy the resort's 7-acre Waikolohe Valley pool area, where the whole family can shoot down water slides, relax in a lazy river or infinity pool or snorkel in a private lagoon. You'll truly feel your vacation has begun once you step inside the Modern Honolulu. As you check in, you'll be offered cilantro lemonade and a cool peppermint towel. The Modern doesn't charge a resort fee, and offers complimentary in-room and on-site WiFi. The hotel is home to Iron Chef Masaharu Morimoto's stylish sushi restaurant, Morimoto Waikiki. The hotel lobby bar, The Study, tucked behind a floor to ceiling bookcase, offers nightly live entertainment and upscale handcrafted cocktails. Dance the night away, next door at Addiction nightclub, one of Oahu's most popular nightclubs, featuring VIP bottle service and resident DJs. 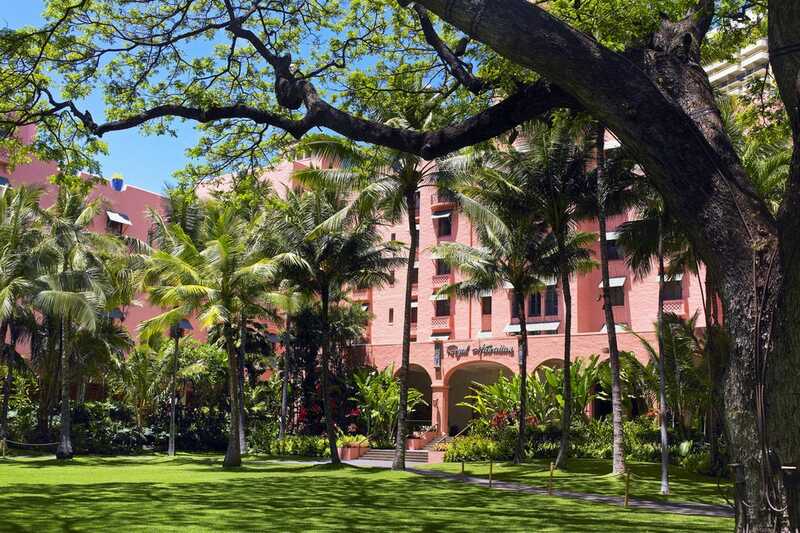 For a true Hawaiiana hotel experience, look no further than the Royal Hawaiian, aka the Pink Palace of the Pacific. This Waikiki gem is Oahu's second oldest hotel, and one of its most luxurious, even 88 years later. When you book a stay in its recently upgraded beachfront rooms in the 17-story Mailani Tower, you'll be contacted about your trip before you even leave home. Upon arrival, you'll be greeted with a fresh flower lei. Complimentary breakfast, as well appetizers and beverages, including a signature daily cocktail are available each morning and evening in the exclusive Mailani lounge. It's an outdoor-outdoor lounge, and has great views of the both the beach and the hotel pool. Staying at the Kahala Hotel & Resort, nestled in east Oahu's posh neighborhood is like an escape on your Hawaiian getaway. The resort is known for its secluded beaches and its private locale; visiting celebrities and dignitaries are frequent guests. Standard hotel rooms are spacious, boasting 550 square feet and unobstructed mountain and ocean views. Each of Kahala Hotel's five restaurants are repeat award-winners. The hotel is also home to six Atlantic bottlenose dolphins. Book an adventure through Dolphin Quest in the lobby and you can swim, play and feed these intelligent creatures for an experience you'll never forget. When you stay at Halekulani Hotel, it's all about the small, personal things. At check in, you're taken on personalized tour of the hotel. In your room, a bowl of fresh fruit and the hotel's own chocolates await. But what really sets Halekulani apart is its For You, Everything program, which offers guests complimentary tickets and transportation to the Honolulu Museum of Art, Bishop Museum, Doris Duke's Shangri La estate, Hawaii Symphony Orchestra, Hawaii Pops, Iolani Palace, Lijestrand House, Hawaii Opera Theatre, Hawaii Theatre and the Hawaii International Film Festival. 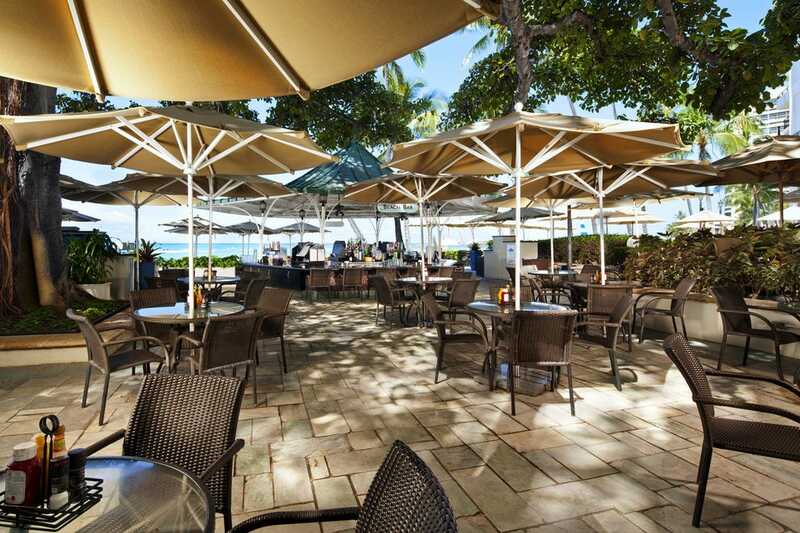 Each Wednesday from 5:30 to 6:30 p.m. at the Hau Terrace, guests are invited to the Manager's Reception to meet Halekulani's general manager and enjoy complimentary light appetizers and Halekulani private label wines. The on-site lounge and restaurants offer the most class of any in the area, and the ocean side pool has an inlaid mosaic of a Cattleya orchid, made from more than one million pieces of South African glass tile.